Recognition by those who love us is one of the greatest honors to have bestowed upon us. There are many extraordinary ways to leave a legacy gift to Temple Beth Sholom, but there’s nothing more everlasting than making a gift in honor or in memory of a loved one. Selecting a Naming Opportunity is one of the most meaningful acts to recognize someone special in your life. 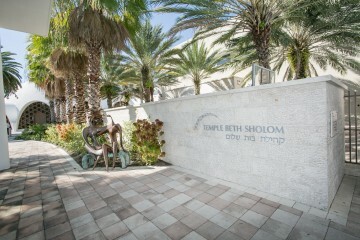 A Naming Opportunity provides the chance for you and your family to dedicate a classroom, holy space, meeting space, gathering place, playground, building wing or other area at Temple Beth Sholom and the Innovative School. We have both exterior and interior possibilities. This gift can honor a loved one, celebrate a special occasion, memorialize a loved one, or share your mitzvah with everyone. It is a wonderful way to teach your children and or grandchildren the value of philanthropy and of commemorating the life of an individual. Is there a special location in the Temple that you would like to sponsor in honor of a loved one? 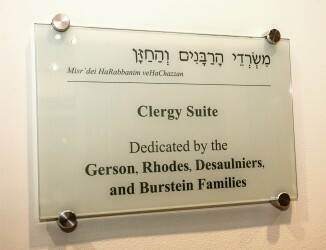 Is there an area in the Temple Beth Sholom Innovative School that you would like to dedicate to your beloved family? Is there a special program or position that you would like to endow in order to maintain it and ensure its longevity in the future? Temple Beth Sholom offers a variety of meaningful options to express your philanthropy. We can also discuss a customized Naming Opportunity to fulfill your charitable wishes. For more information, please contact Katy Boyask, Director of Advancement, or call 305.538.7231 ext. 375.